The Nationals will play their second road game of the season this afternoon in CitiField in this three game series with the Mets. This is the fifth game already this season with the Mets and tomorrow will be the sixth in a strange schedule that MLB has put together. 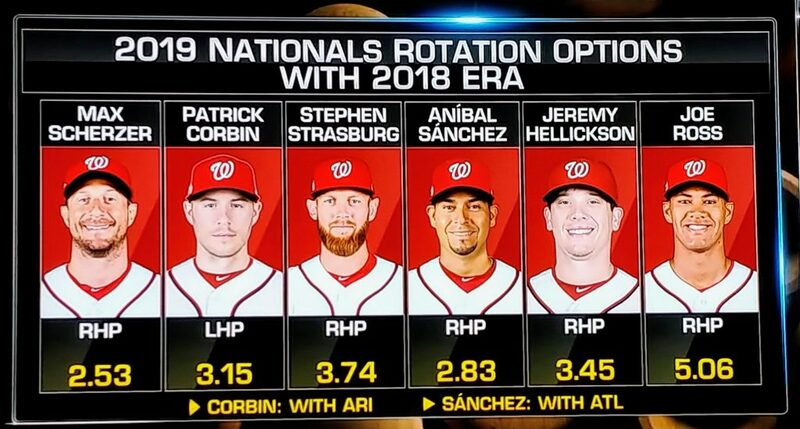 Patrick Corbin starts today for the Nats and Max Scherzer starts tomorrow according to Nats PR, and the rotation is all over the place. Jeremy Hellickson has no starts, Anibal Sanchez has had one start, Patrick Corbin and Stephen Strasburg have each had two starts, and as of tomorrow Max Scherzer will have three starts. Does anyone know why the rotation has been changed twice already? It will probably change again as starting today the Nationals have five consecutive games for the first time this season through Wednesday before the team has another scheduled day-off on Thursday. If Max Scherzer does indeed start tomorrow per Nationals PR, this could set-up Anibal Sanchez for Monday in Philadelphia, Strasburg on Tuesday or Wednesday, and Hellickson could be inserted on Wednesday or Tuesday in the series in Philadelphia. On Friday, the Nats begin another homestand as they host the Pittsburgh Pirates who have the best starting rotation ERA in the Majors right now at 1.25 after they threw another shutout last night. The Mets will be pitching the left-handed Steven Matz today in a battle of the lefties. 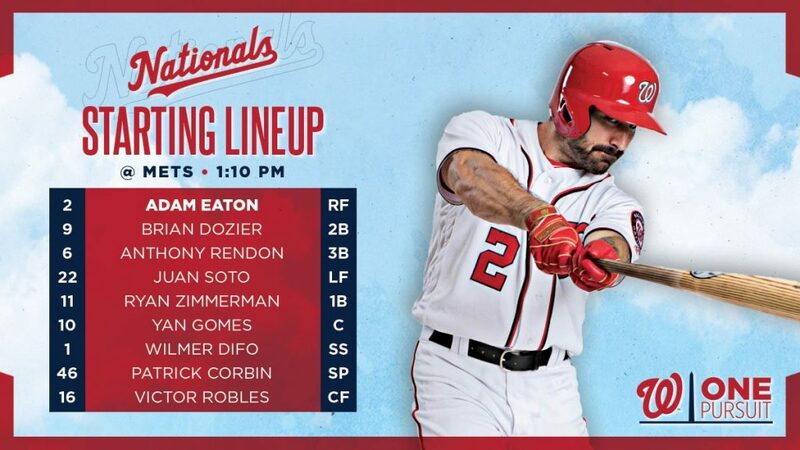 The Nationals have a very right-handed lineup already, and we saw last Sunday that the Mets manager Mickey Callaway did adjust to a more right-handed dominant line-up against Corbin who threw a very nice outing against the Mets last Sunday where he gave up 2 runs in 6.0 innings of work. That was the game that finished with a Trea Turner walk-off home run.